[D]uring October, Landaa’s five Maldivian Clownfish pairs were observed to spawn 13 times in total, of which 11 batches were taken for rearing (the other two being eaten by the parents). The Clark’s Clownfish, however, performed less well without a single spawning. 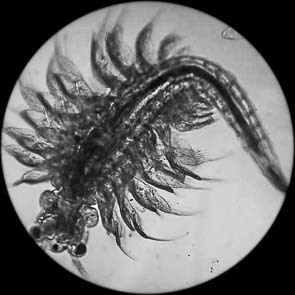 The night lights of the island jetty have been seen to attract all manner of small sea creatures and larvae, so as an experiment we have randomly scooped up various samples. We have dedicated one of our fish lab tanks and have been providing food (algae, Rotifers and Artemia) to grow them out and see what will develop. 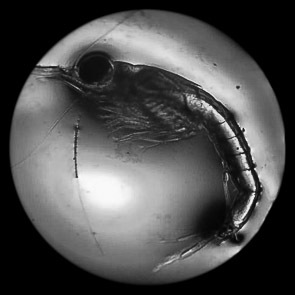 Amongst the various fish and crustacean larvae present, some of the shrimps in particular have been observed to grow very rapidly. 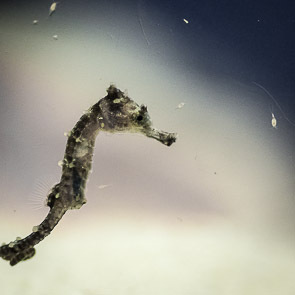 [T]he seahorses were not observed to transfer eggs this month, perhaps due to under-feeding – the Mysid shrimp food source can be difficult for us to find in the ocean during certain monsoon seasons. To rectify this, we have been regularly collecting them when available from the lagoon and then freezing batches to build up food stocks. We have also set up a tank in the lab as a trial to see if we can breed them in captivity – seahorses are picky eaters and usually prefer live food. Juvenile seahorses eat rotifers for the first week of their lives and then move up to the larger Mysids. They can also eat Artemia (brine shrimp); to successfully grow these we must first cultivate algae for the Artemia to eat. We have now established two 100L tanks of nano algae culture and hope to start growing the Artemia soon. 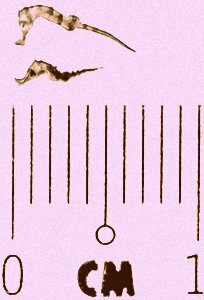 In the photo on the right, you can see baby seahorses at one and three days old, alongside the 1 centimetre mark of a measuring ruler to give an idea of scale. You can see from our illustration that algae are fed to rotifers, and the rotifers are a food source for the two species of shrimp (Artemia & Mysid) and the young Seahorses. As the Seahorses grow in size, they also start to feed on the larger Mysids. 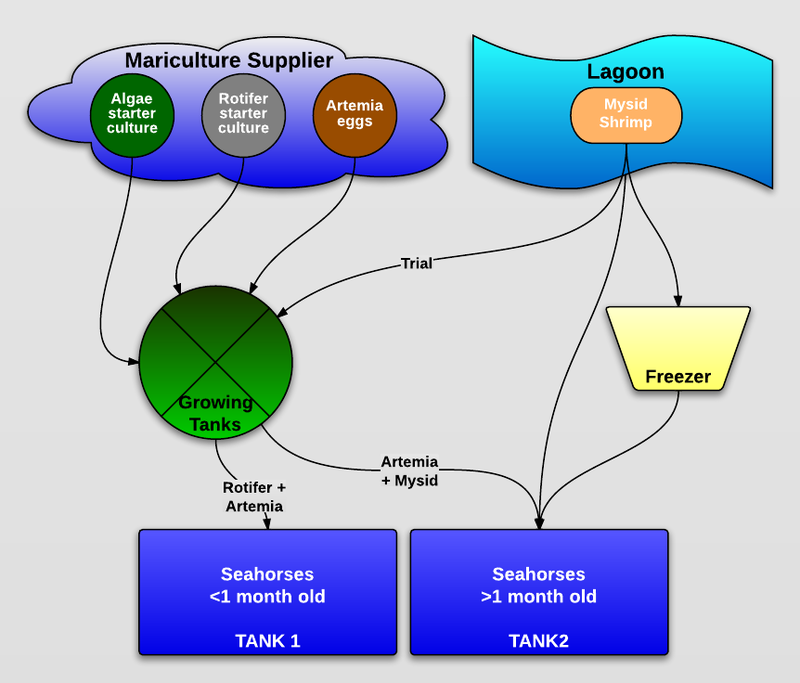 The three main food sources are purchased from a mariculture supplier, and are ‘grown on’ in our aerated seawater tanks before being fed to the Seahorses, as outlined in our infographic. Mysid shrimp are collected from our lagoon when available – we feed them directly to the Seahorses, and freeze batches to build up stocks when supplies are plentiful. We are also experimenting with growing Mysids in our tanks.